At Alcuin, we firmly believe that talent development is the key to the success of organizations and their personnel. Our goal is to provide easy-to-use products that are both innovative and user-centric, in response to the challenges by today’s business environment. Mostly in France, but growing in Europe and North America. Alcuin supplies solutions for mid-sized companies, large corporations and higher education establishments. To date we have rolled out multilingual solutions in 12 different languages. We are Unicode-code based, so our applications can support any language. More than a million users log into our applications each day. A growing and talented team is ready to serve. Why are we called “Alcuin” ? 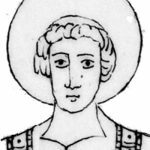 We owe a great deal to the man called Alcuin and yet who remembers him? The English ecclesiastic was a friend and advisor to Charlemagne and was considered the wisest, most scholarly man of his time. A major actor in the Carolingian Renaissance, he was a pioneer, overhauling education across Europe in order to train the future elite. His teaching methods remain famous today, particularly his dialogues with his students in the form of questions, answers and riddles. 20 years of experience via inorganic growth managing human capital, social dialogue and training. We offer state-of-the-art solutions for workflows to meet legal requirements. Professional services focused on guiding our clients throughout their projects’ life cycles with world-class support. Allow our clients to select one or more products and one or more modules within a product to provide the freedom to use only what is needed. An experiences R&D team who are determined to incorporate the latest social and technological advances into our solutions. Alcuin invests 28% of our net sales into R&D. Whether you are based in one country or spread across several, we can support your requirements.